Each week’s Torah portion has a unique name by which it is called. 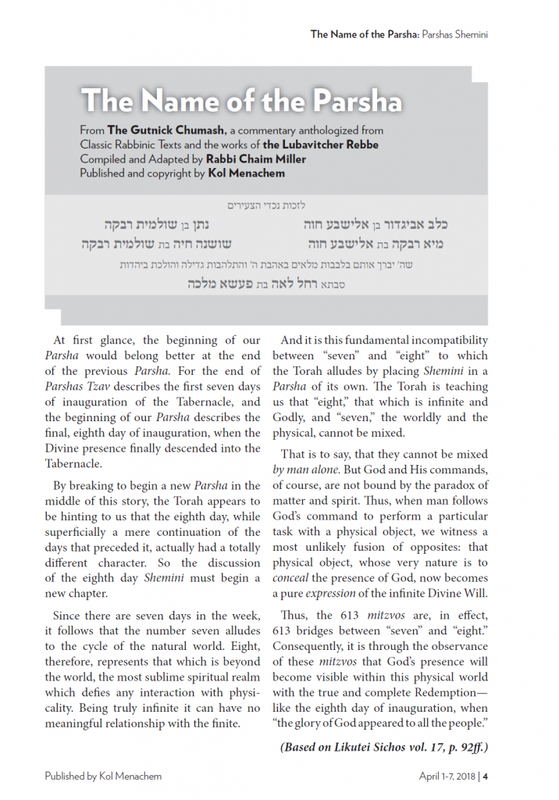 In this section of Chayenu, taken from the highly acclaimed Gutnick Chumash, we share an insight we can glean from the name of each parsha, based on the teachings of the Lubaitcher Rebbe. This section can be used as a quick Dvar Torah or just as personal study, but you are surely going to get insight into a whole new layer of Torah study, where the name of a Torah portion is also significant. Copyright © 2019 CHAYENU. All rights reserved.